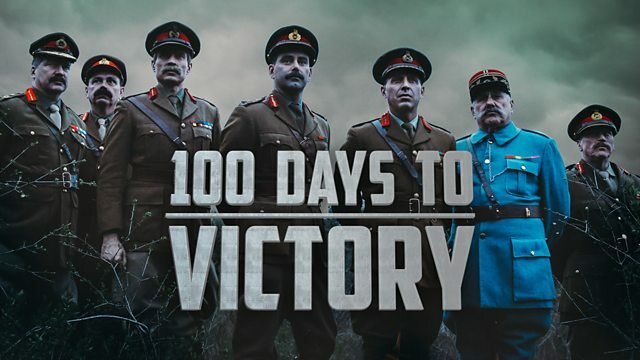 Series charting how the Allies won WWI. This episode examines the lead up to the 'combined arms' coordination of artillery, tanks, aircraft and infantry. The onslaught triggers a leadership crisis: Field Marshal Haig and Marshal Foch ask Australia's General Monash and Canada's General Currie to perfect a new way of waging war - one that will deliver ultimate victory. Monash and Currie conclude that the only way to victory is to effectively achieve the 'combined arms' coordination of artillery, tanks, aircraft and infantry - on a massive scale. It is the birth of modern warfare. By August, they are ready for what will become a major turning point in the war: the Battle of Amiens.